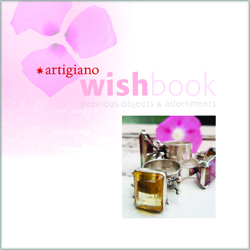 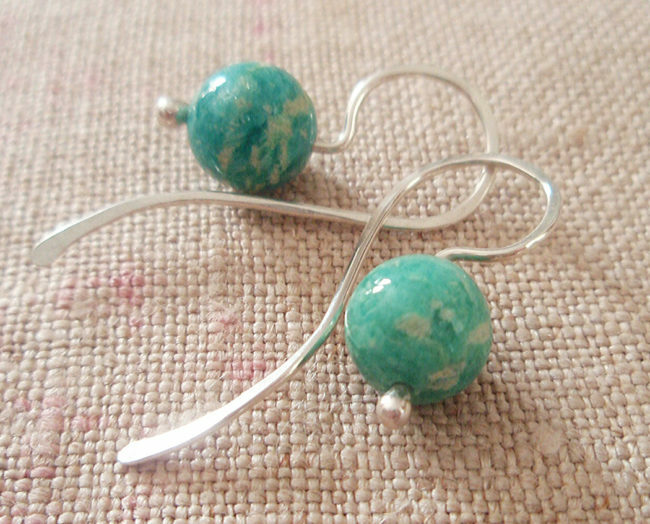 These little earrings are easy to wear and make a great choice for any day. 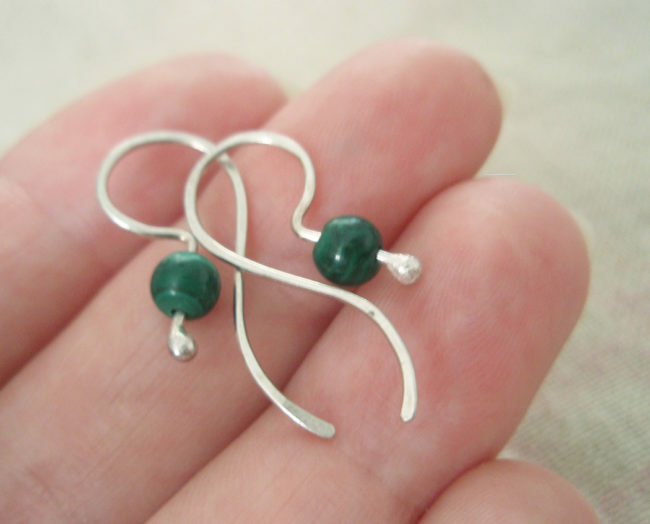 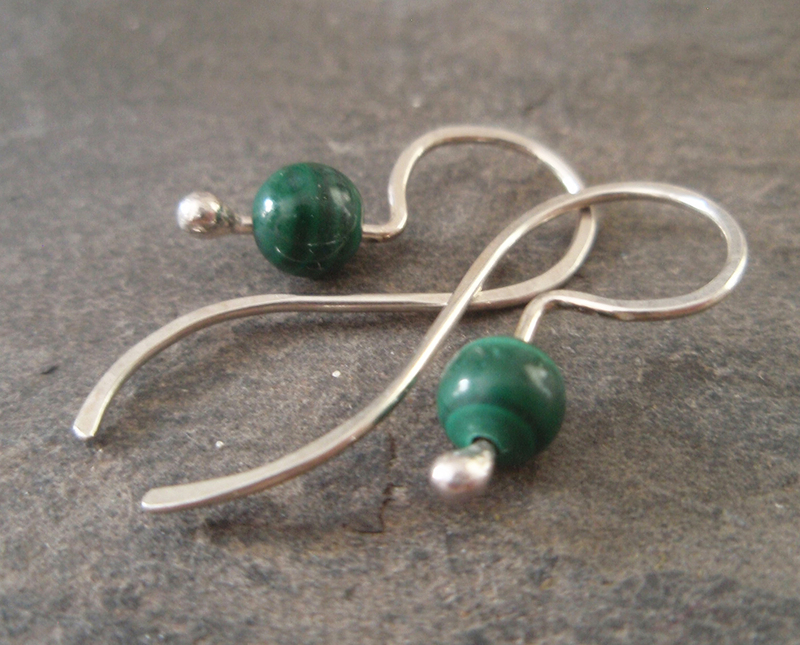 Like a little garden berry, these tiny 5mm malachite beads are a merry green color and are suspended on hand forged sterling ear wires with a lovely curved shape. The beads are natural in color with striated bands typical of malachite. 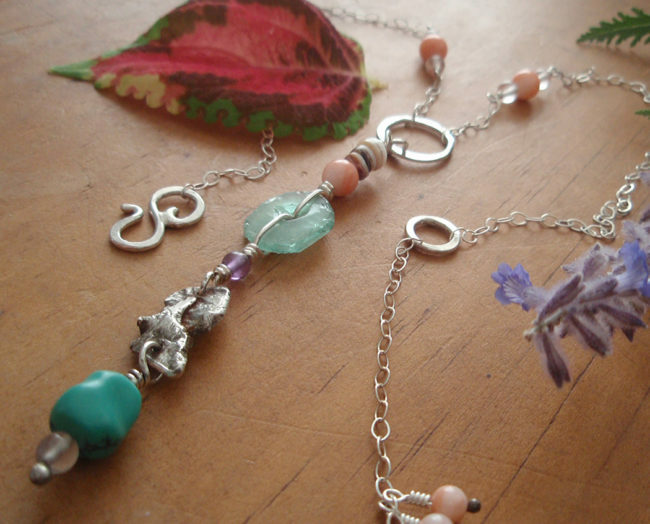 Each wire is hand shaped and hammered just enough to strengthen the wire form and enhance the curves. The entire length of the earring is about 1″. 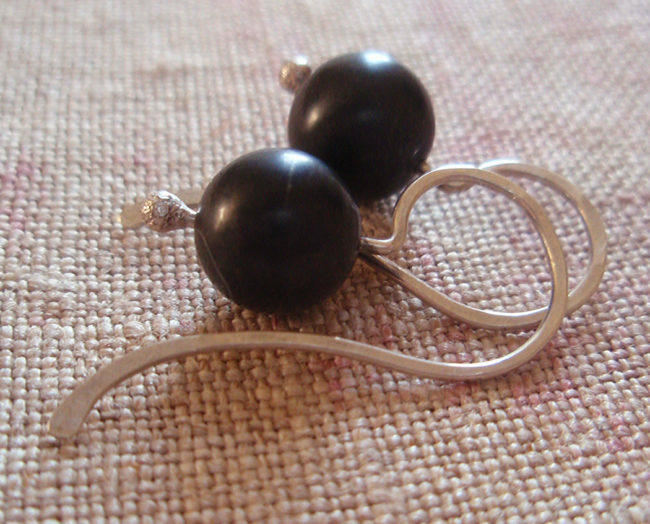 Because each pair is handmade, and there is some variation in each bead, please allow for the slight differences that make each pair unique. 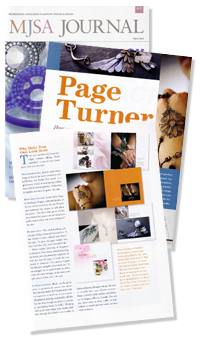 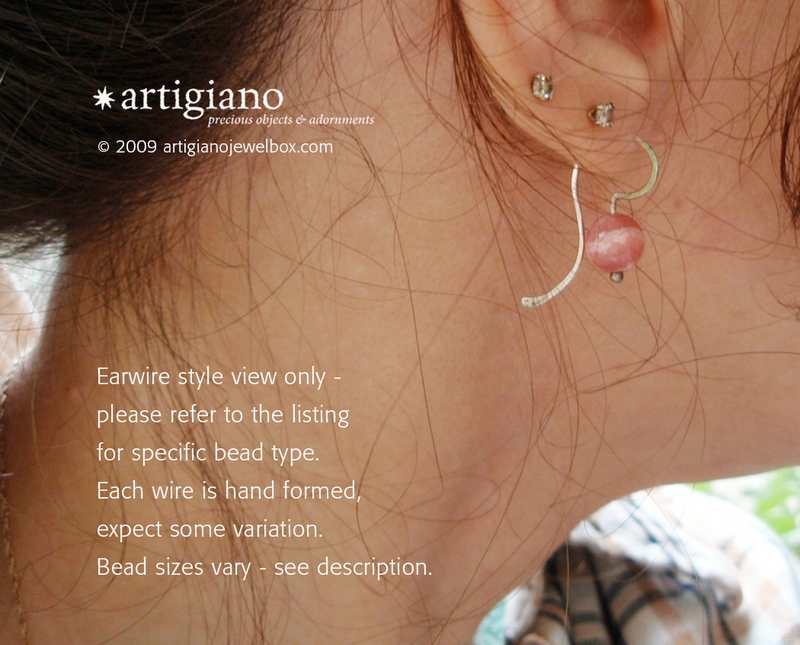 Note that the image showing the ear wire style in the ear is for example only, and is a different bead color and size than the pair for sale in this listing. 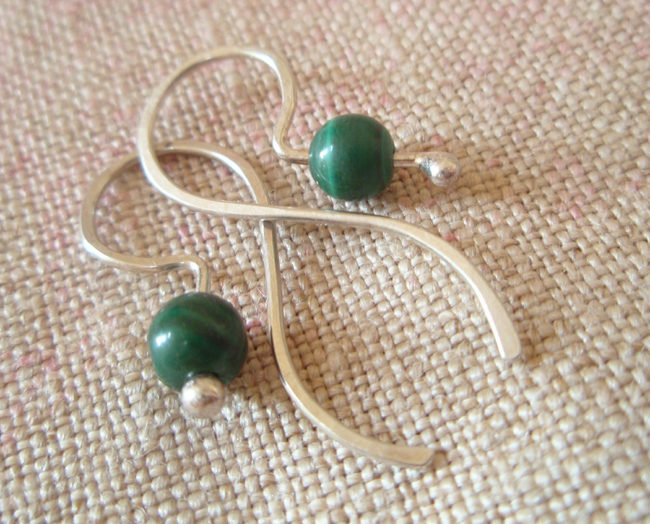 The malachite pair for sale in this listing is brand new and has never been worn. 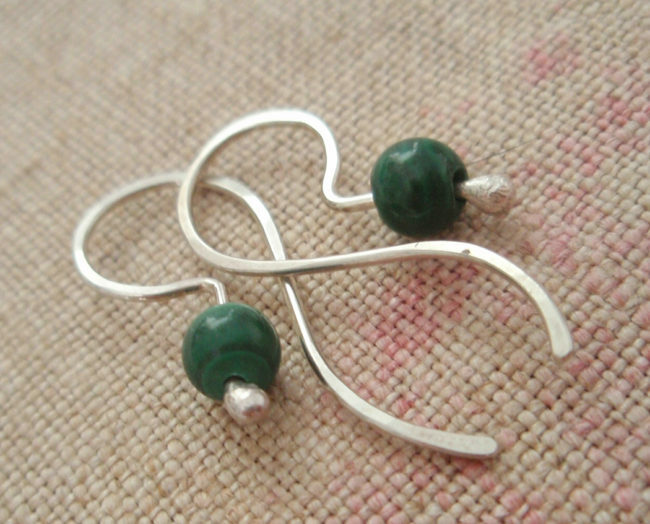 You can see other options of this earring style by viewing the everyday bead earring category. 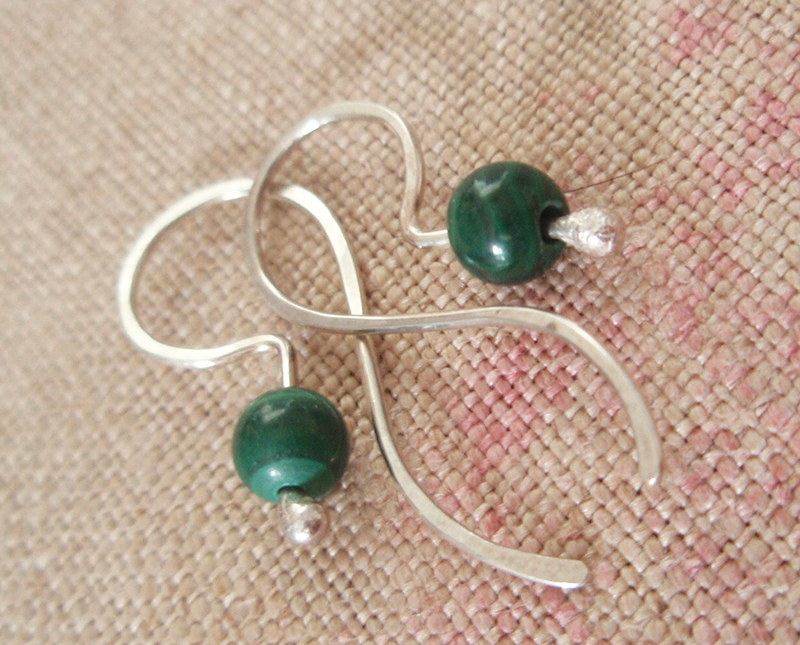 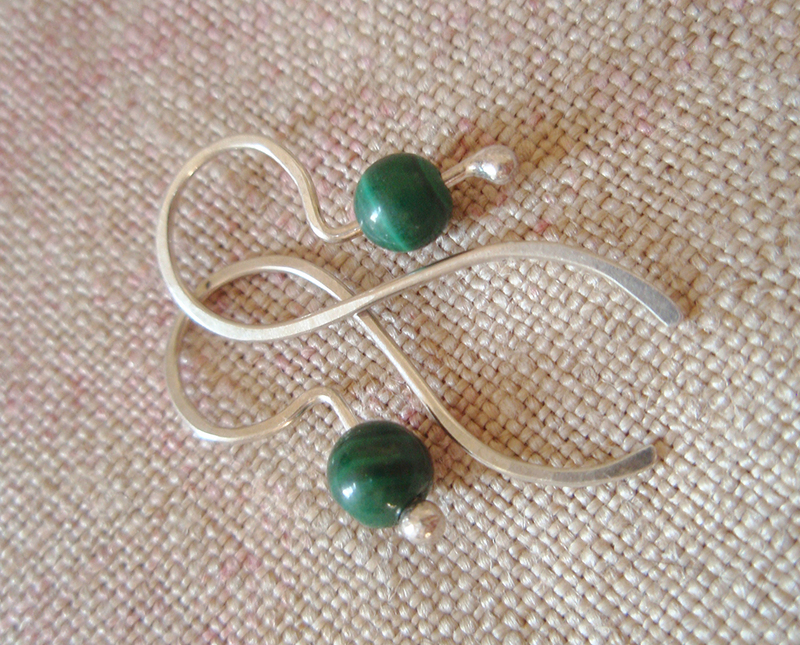 Malachite is a stone of transformation, said to be a conduit of good fortune, prosperity and abundance.